Alex Jennings at his Olivetti Lettera 22 portable typewriter as the writing Alan Bennett (he also plays the caring Alan Bennett) in the movie The Lady in the Van. Typewriters in movies two weeks in succession! First Trumbo and now this. How good is my luck? 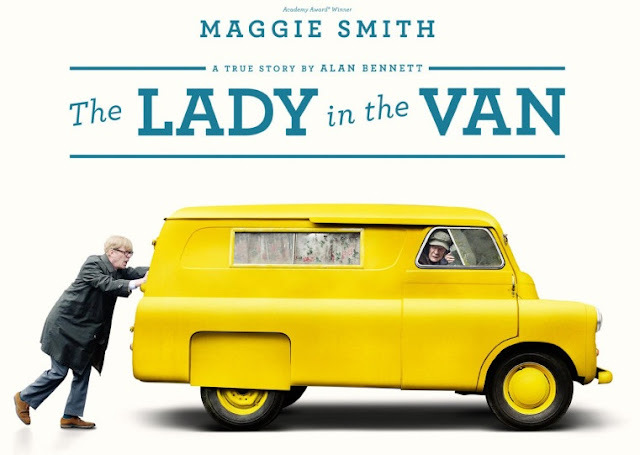 I anticipated typewriter action in The Lady in the Van in my post of November 1, and got to see this movie itself last night. I wasn't to be disappointed. Even at the end, there was the unexpected bonus of a Lettera 32 amongst the jumble in the back of the lady's van. 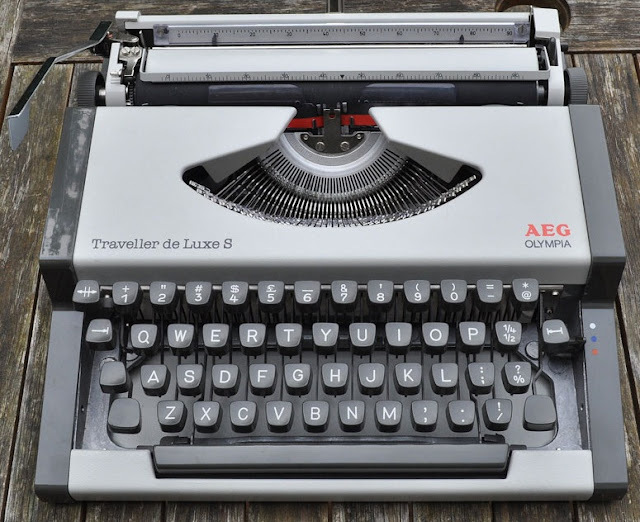 This is the model of portable typewriter Bennett uses today, but the film is set from 1973-88, so the Olivettis are probably more appropriate for that period. But while Alex Jennings, playing both the writing and the caring Bennett, is reasonably adept at the typewriter, the movie is really a tour de force for the 81-year-old Maggie Smith as the "lady". In her skillful hands, the movie succeeds in being both quite funny yet deeply poignant. Jennings and the real Bennett on set.